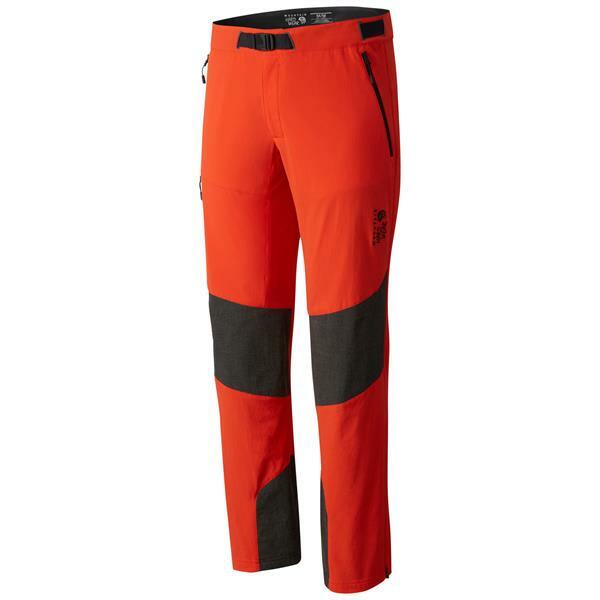 Stay warm with the Mountain Hardwear Dragon Hiking Pants. These hiking pants are woven with Kevlar fibers and Schoeller fabric to aid in keeping the pants durable so that they last you through many seasons. The fabrics are designed to be mapped in areas on the pants where they improve and support movement and versatility while aiding in durability. There are many zippered pockets where you can securely keep your essentials close by and easily organized. The seams on these Mountain Hardwear pants are taped in critical areas to keep moisture from getting in, and the fabric is treated with durable water repellent to give you protection against the weather while staying breathable to keep you cozy. With the essentials you need for a long hike or a day spent on the snow, the Mountain Hardwear Men's Hiking Pants will offer the support you need to withstand the cold.